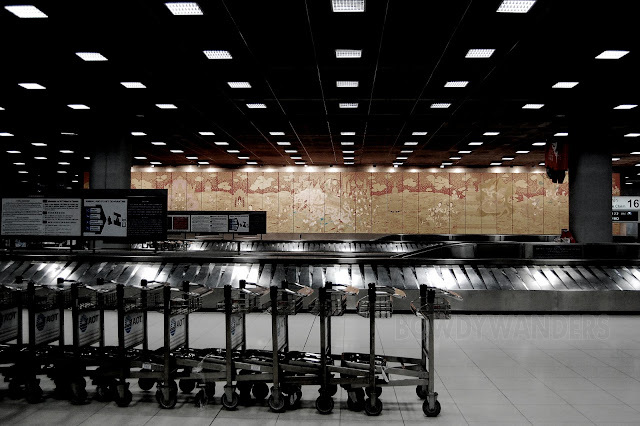 bowdywanders.com: Airport Bound - There’s always a different and interesting story for you to experience. Airport Bound - There’s always a different and interesting story for you to experience. One of the most exhilarating experiences in traveling is during the ultimate onset of everything: The Airport Experience. It is really where everything starts and that is more than enough reason for us to make the most out of the experience. Notice the polished floors, overbearing ceilings, sleek signs, cool officer costumes, and striking works of art - airports command respect and awe. It gives us a glimpse of that place’s culture and people; it provides us with a preview of the place. There’s always a different and interesting story for you to experience. Of course, it’s a different case for every person. 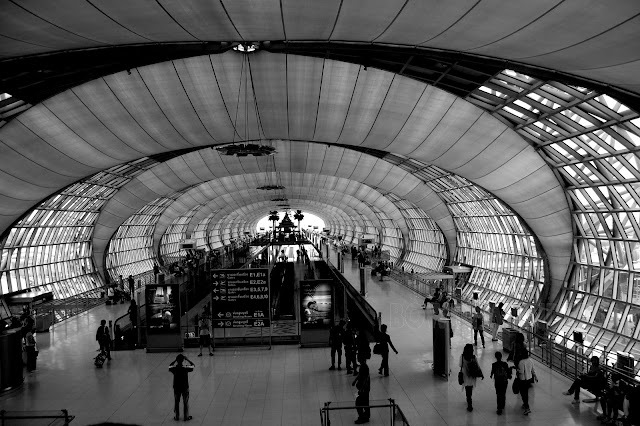 Let’s say if you are a first time traveler or it’s your first time in a particular place, airport experiences can be both daunting and amazing. So many things run through your head: you either over-prepare or under-prepare. You easily fidget in the sight of watch dogs, or bag scanners. You may drink or pee a lot. You enjoy collecting airport stuff. Or you may even get the feeling that you might leave something valuable. You may take vain pictures. Or you may even get amazed by the different races you see. Or you may just be one with the complacent crowd. 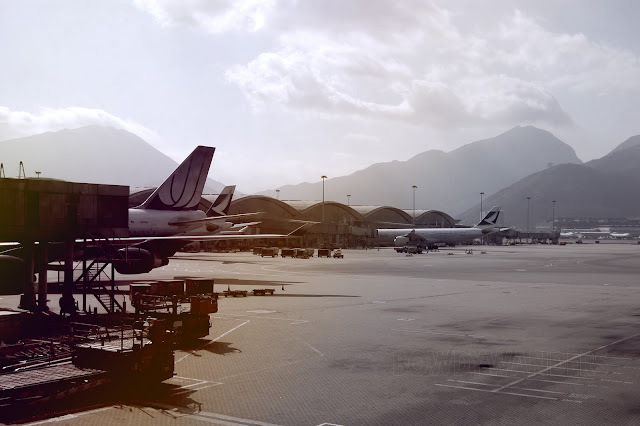 If let’s say, you have seen a ton of airports in your lifetime, the next airport experience can be a slightly different feeling: You easily get agitated by delayed flights. You find ways to distribute the weight of your overstuffed bags. Or you always look at the airport schedule board. You scan the area for the nearest resto, toilet, or taxi area. You enjoy seeing kids run around in circles. Or you relax and dive in a good book. But, with everything else considered, airports are there for a pretty awesome reason – not just for destinations, plane parkings, and next stops, but also for the great add-on experience and learning we can fly away with. We all have our things-to-bring list when traveling, but below are the tried and tested, mandatory items to take note when traveling, especially if abroad. Now, some learnings from the myriad of airport experiences I enjoyed. Arrive EARLY. Well, at least 2-3 hours before the departure time. You will need to go through a lot of processing before you can actually board the plane and since you may not be fully familiar with the place and the process, this may take some time to do. A lot time for buffer or unforeseen events. Top 4 things to bring: extra money, ID, extra bag, and “handy” foods. Of course we know the basics, but these are just absolutely essential. extra money – Better to bring extra cash for ad hoc airport fees (terminal fees, extra-baggage fee, toilet fees, etc). Credit cards are OK too, but money money money is easier to use. IDs – This should be part of the passport and travel documents (printed tickets / photocopied documents) to-bring list as there are some places/countries where they require you to show a valid ID. extra bag – 99% of the time, you will always need an extra bag for a lot of reasons – food, shopping, souvenir, extra space for stuffs – always bring one with you. “handy” foods – any type of food that can be easily carried around and eaten quickly (i.e. peanuts, donuts, junk food, sandwich, etc). This will keep you sane when there are long waits needed and when the airport foods are over expensive. It’s okay to bring bottled water but be sure to finish it before seeing the immigration officer. Be sure to put your “handy” foods in your hand-carry bags when going through the boarding process. Never hesitate to ASK. It’s always better to ask for directions than to get lost in translation (saves you time and energy). If you can’t find the toilet, or the taxi stand, or the bag-weighing thing, or the foreign exchange stall, don’t hesitate to ask. It will give you more time to explore the airport and do other things. Plus, there’s a chance that people will be most willing to help you and may even give you tips, advices, or may open up good conversations. Explore and Enjoy. Meet and try new things. More often than not, every airport offers something new and something uniquely their own. So, it would be best to try and enjoy the experience. Don't just sit and enjoy your iphone music, or play with your PSP, it would be fun to check out the place. May it be the relaxing lounge area in front of the wide-screen glass view of the departure area, or the in-house free train ride from airport A to airport B, or probably the free massage and spa, or the ultra-fast free wifi, or a good friendly chat with the lady beside you, or experience the high-class culture stalls they have – everything is worth checking out and experiencing. Whether traveling alone or with family and friends, having the right attitude and know-how, the arriving at or departing from any airport shall always be a fantastic experience to run away with. great pictures, nice content, very well written and interesting read. High five! book is the best companion. ayks!